Our monthly look at English accents from around the world in both English-speaking and non-Englishspeaking countries. 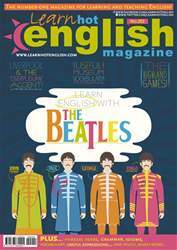 This month: the Liverpudlian accent (from Liverpool). a look at English accents from around the world. 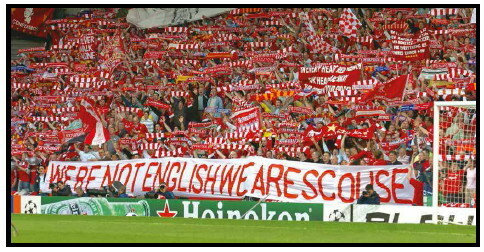 Liverpool is in the northwest of L England. It’s got a population of about 450,000 people, and it’s England’s third largest city (after London and Birmingham). Famous people from Liverpool include: Pete Best (ex-Beatle), George Harrison (Beatle), John Lennon (Beatle), Paul McCartney (Beatle), Ringo Starr (Beatle), Stuart Sutclife (ex-Beatle), Jamie Carragher (footballer), Elvis Costello (singer-songwriter), Billy Fury (singer-songwriter, Robbie Fowler (footballer), William Gladstone (four times prime minister), Steven Gerrard (footballer), Steve McManaman (footballer), Michael Owen (footballer), Sir Simon Rattle (orchestra conductor) and Wayne Rooney (footballer) – among many others.